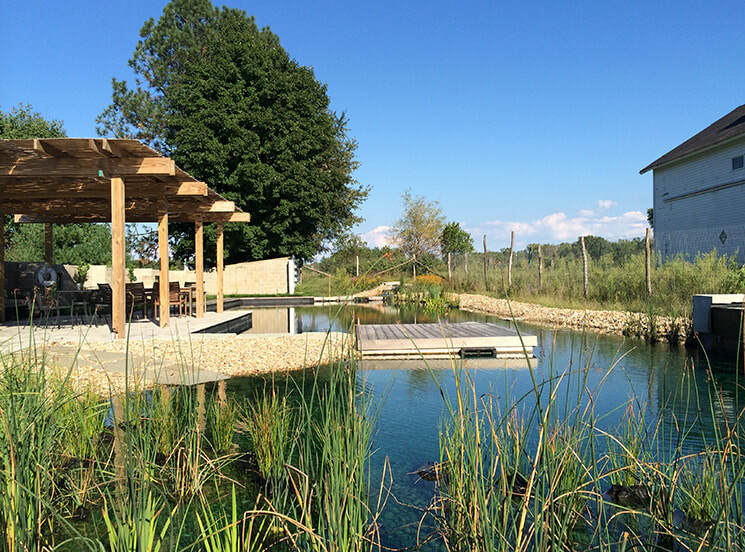 Total Habitat can help you create an experience that will wow your visitors, elevating your space and encouraging continued patronage. 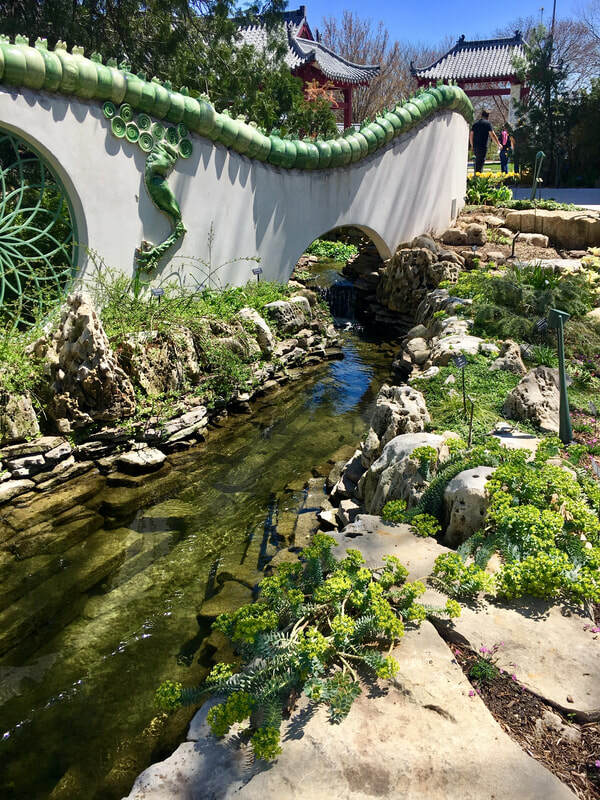 Our stunning water features provide crystal clear water, giving you a ready-made back drop for events, photo-ops and countless social media shares! 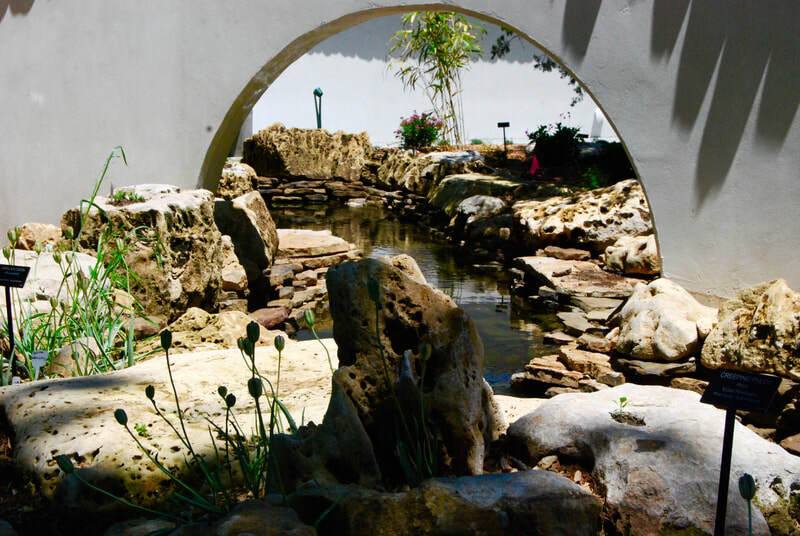 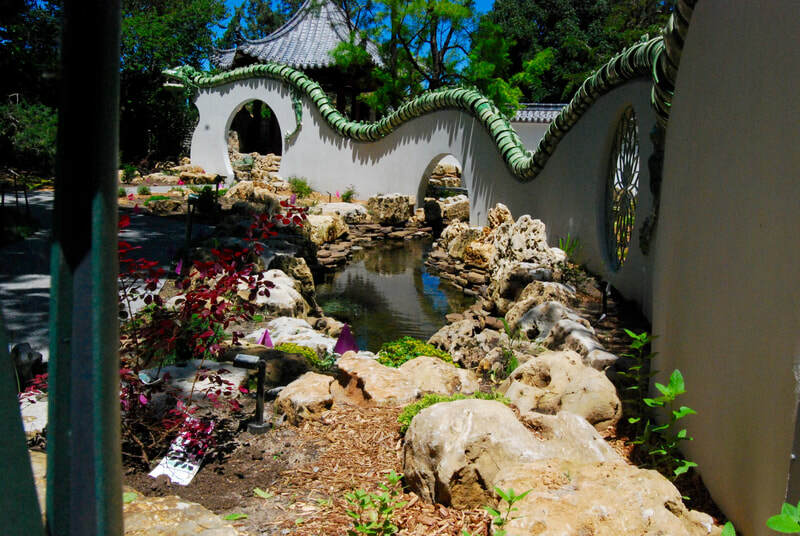 We can provide your guests with a beautiful, authentically natural experience, including crystal-clear ponds, waterfalls, streams, fountains and public Natural Swimming Pool/Ponds. 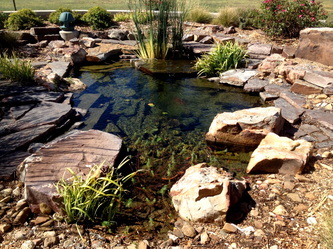 We are available for design, construction and consultation services. Contact us today to get started! 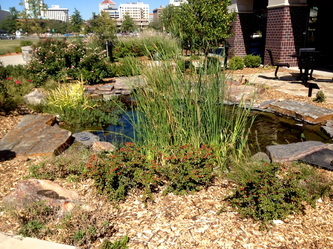 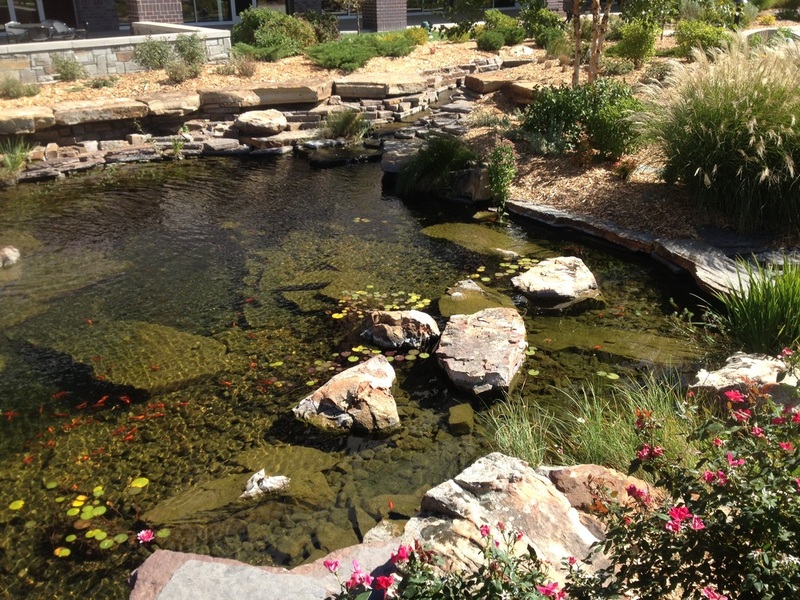 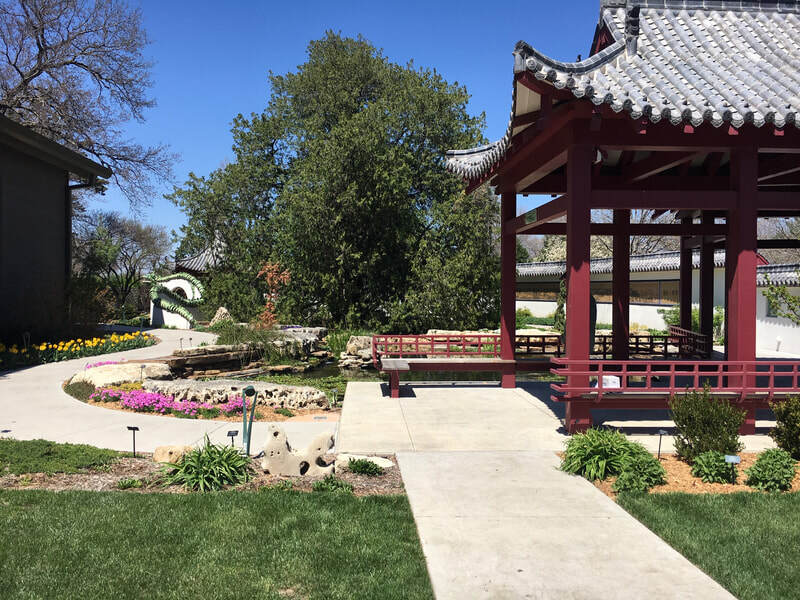 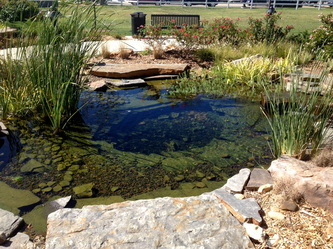 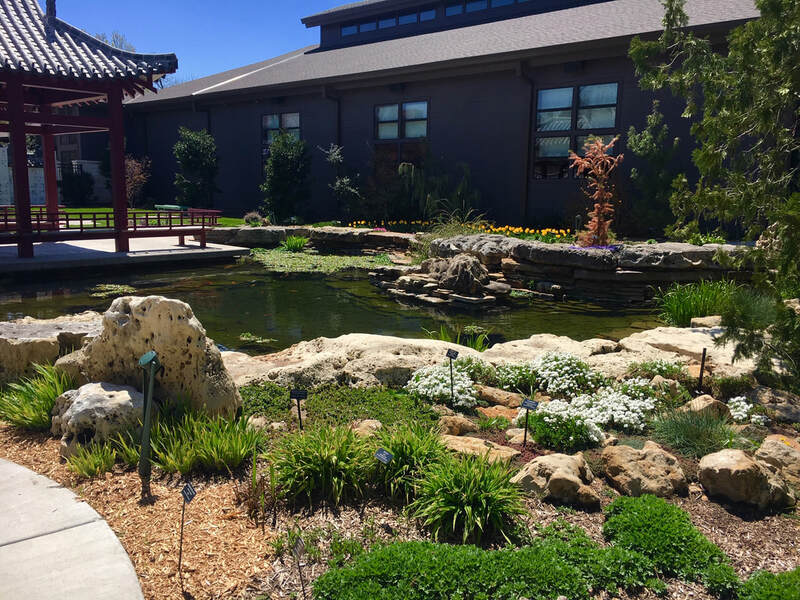 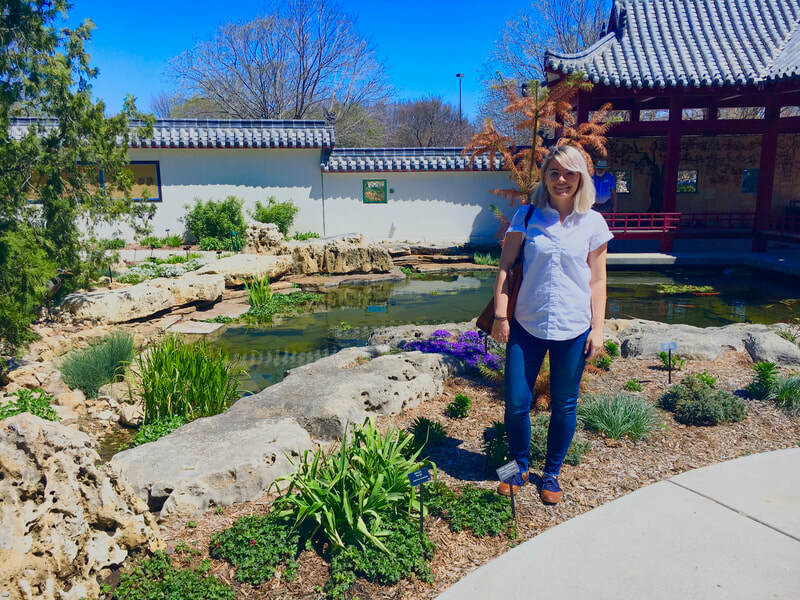 In 2011-2012, Total Habitat designed and built a series of self-cleaning ponds, streams, and waterfalls for the WaterWalk Commons in downtown Wichita, Kansas. This sprawling, mixed-use outdoor space spans nearly two city blocks, leading visitors along a winding path through naturalistic water features, resplendent with fish and lush water plants. 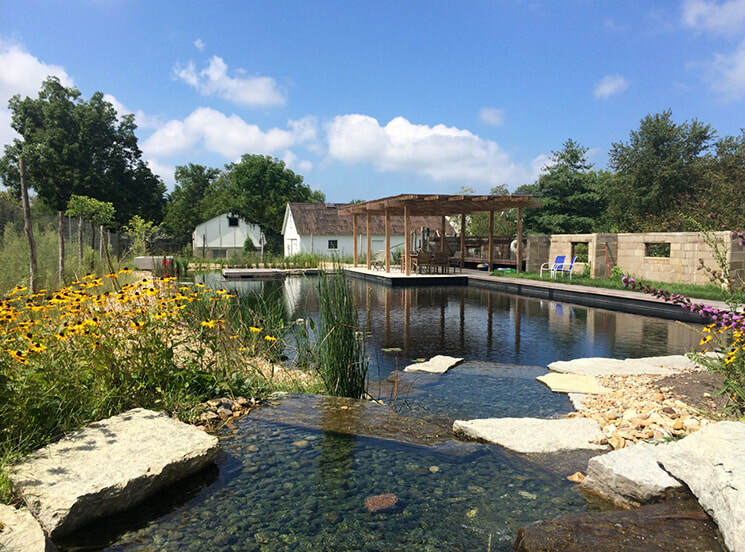 Using the same principles we developed for our Natural Swimming Pools, the ponds and streams at this site are cleaned using built-in biological filters (and no chemicals). 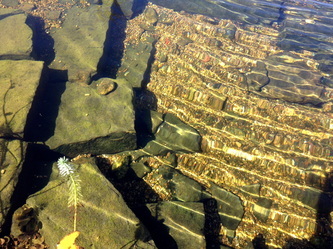 As a result, the water is crystal clear and teeming with fish, plants, and other living things. 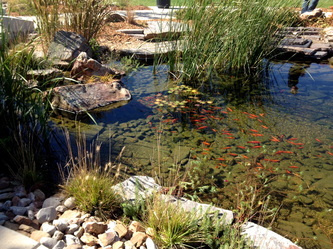 A view of the largest pond and the fountain at the center: notice the little orange fish! 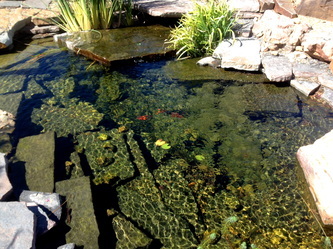 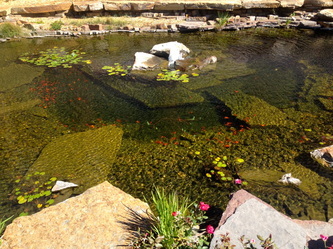 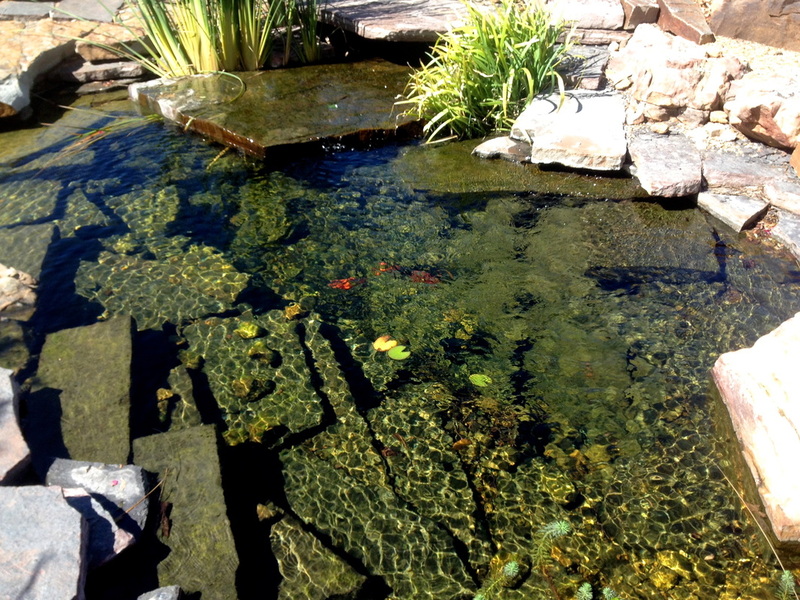 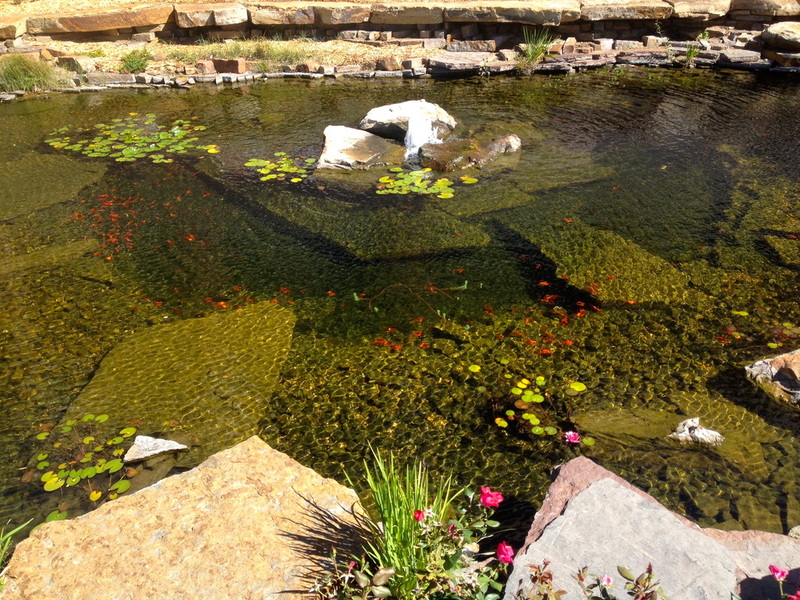 Another view into one of the water features: Notice the clear water and the school of fish! 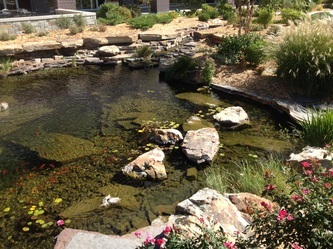 Total Habitat designed and built this 18ft tall artificial rock wall, complete with a waterfall, collection pool and live plant pockets as part of an indoor exhibit space at the BioPark in Albuquerque. 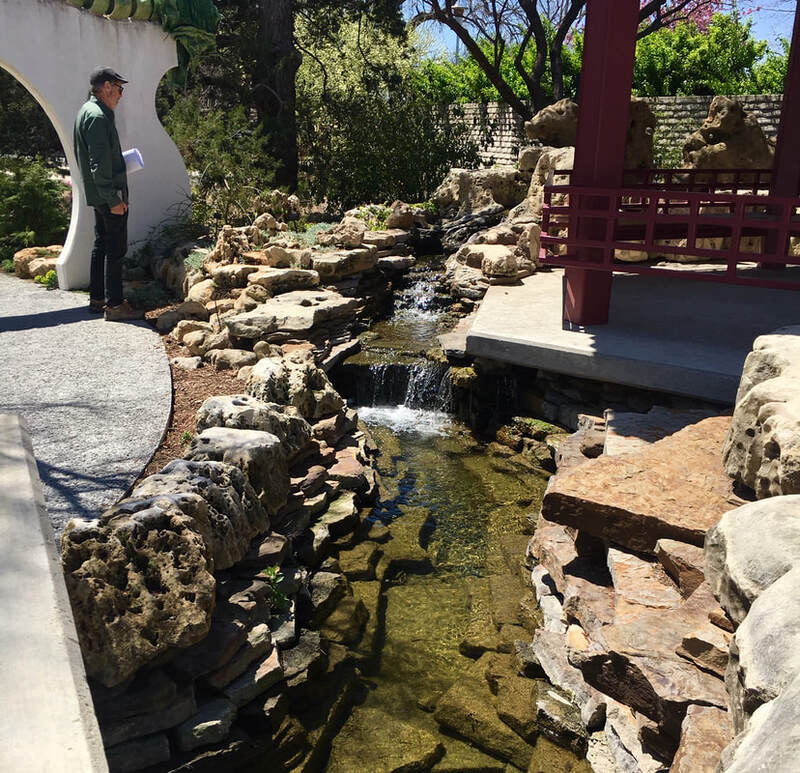 The naturalism of the rock wall and plants contrasts nicely with the clean, modern lines of the buildings interior, while the waterfall provides soothing water sounds to the exhibit's visitors. 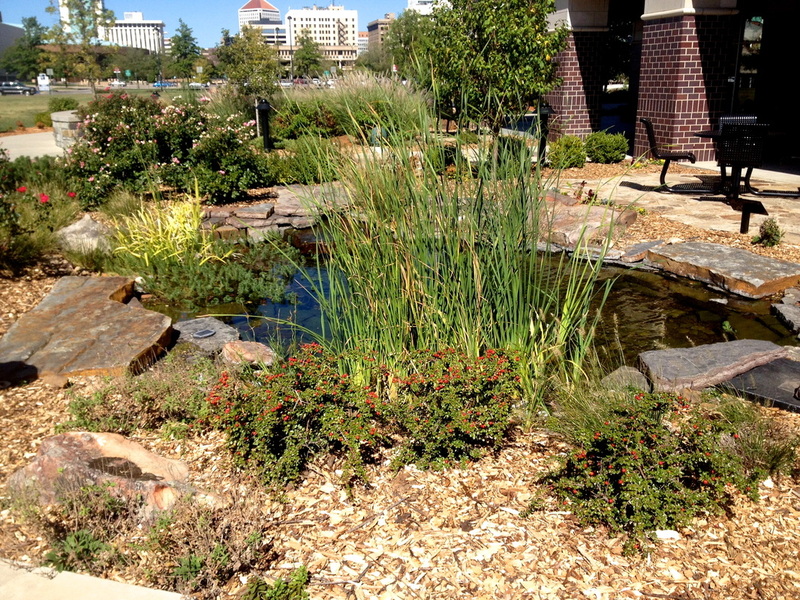 Water play is a excellent addition to any public space or visitor experience. 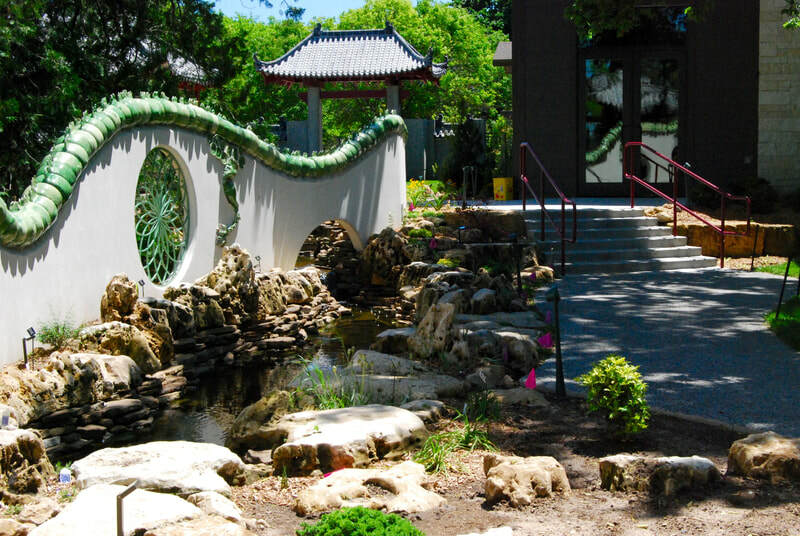 A splash pad or interactive fountain will cool off your guests, provide beautiful photo-ops and give kids (and kids at heart) a fun way to play and connect with others; which equals lasting memories and continued patronage! 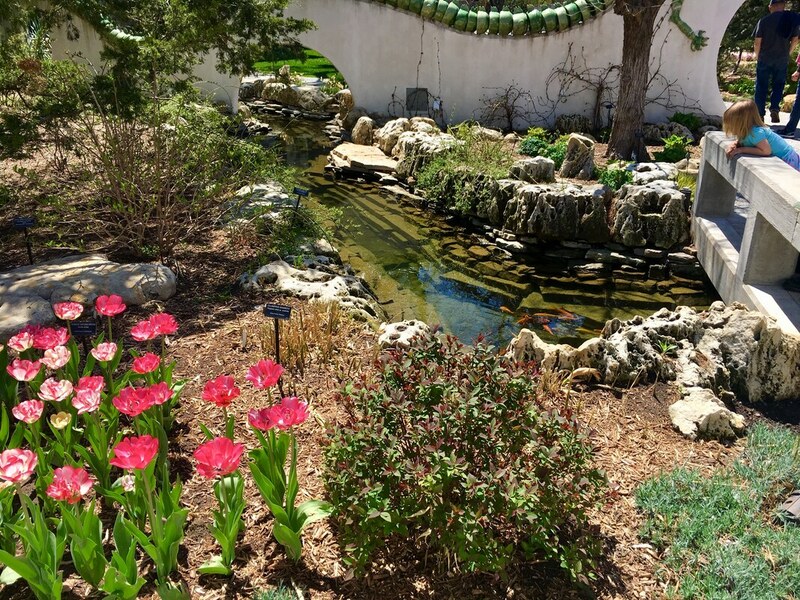 Our splash pads can be automated to spray in a timed sequence or at random -- creating even more excitement for guests -- and can be made in just about any shape or style desired! 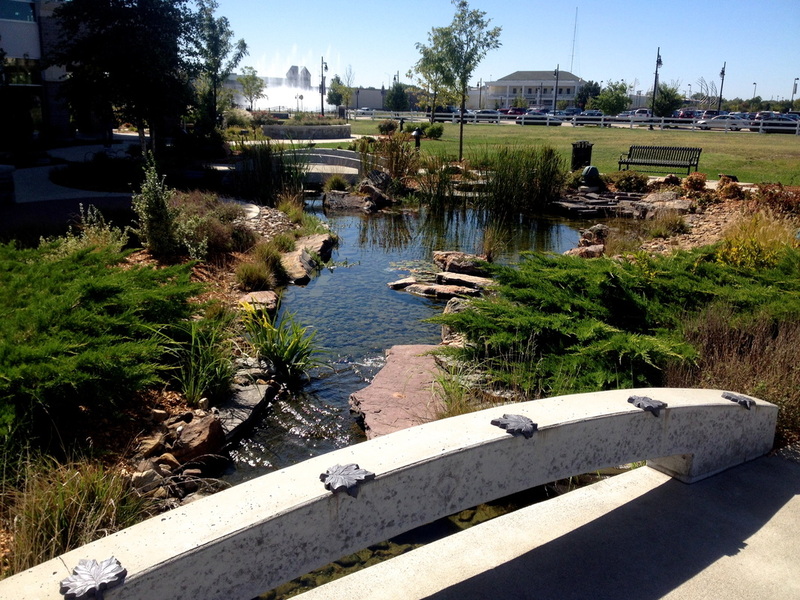 We can help you with design, construction and consultation services including the splash pad itself as well as its specialty plumbing and water filtration system.